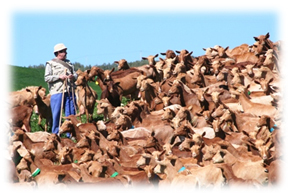 The basis of Self-Prevention project consists of the farms of goats, is undoubtedly the main objective the prevention of fires through a sustainable grazing, but leads to a series of costs that are unaffordable relying only on purely extensive holdings. To reduce the low profitability that may have an extensive system, the company will feature semi-intensive farms, given their management and high production achieve a better economic results. 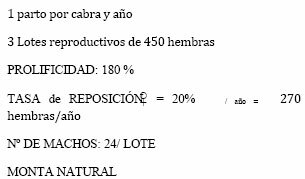 In addition, the goat is an animal that can graze without problem, and this an ideal method for supplement their diet, increase the quality of their products, reduce costs derived food and decrease the weeds that help spread the fires. Therefore, building will be 20 farms of 1,350 females each Reproductor, distributed throughout the territory of the EGTC Duero-Douro and the aim of producing milk and meat quality differentiated. For its construction will require a parcel with a minimum surface of 28,800 m2 in which the building occupies 4,500 m2.